Framing effects have a profound impact on most areas of human psychology. These effects have been studied extensively, but have not been applied broadly to how people interact with information on the Internet. 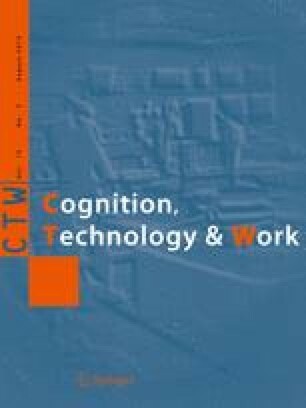 The present paper provides evidence that frames influence people’s productivity on the Internet across a variety of tasks. Experiment 1 demonstrates that satisfaction is increased by presenting information in a list for tasks that involve simple processing of information. For more complex information, hierarchical navigation was shown to increase satisfaction significantly. Experiment 2 provides evidence that abstract information, such as monetary values, must be presented in terms of concrete frames. Specifically, we demonstrate that framing discounts in terms of dollars off, instead of additional goods received, tends to be less effective given the complexity of processing abstract information. In both cases, the type of information presented affects people’s levels of satisfaction and performance. I am grateful to (in alphabetical order) James Anderson, Richard Chechile, Daniel Dennett, Cheryl Hevey, Demetrios Karis, Steven Reiss, Salvatore Soraci, and James Sorce for their invaluable ideas and comments. Sections of this paper were submitted in partial fulfillment of the requirements for a graduate degree in Brain Science from the Department of Cognitive & Linguistic Sciences at Brown University. Today you will be asked to use [insert category browsers] using the [insert operating system and Internet browser]. First, there are no right or wrong answers—we are interested in what you like and do not like, and in finding out how you use these category browsers. Second, and even more important, is that we are not testing you—we are testing the system. If you have trouble doing something, most likely there are problems with the system and how it is designed. It may not be easy to do some of the tasks, which I will give you, and some may be confusing. That is why you are here! If you have trouble using this system, other people will also have trouble. Based on the problems you have, and the comments you make, we will be able to design a system so that it is easier to use. That is why your comments are so important to us. While you are doing the tasks, I would like you to “think out loud.” As you navigate the Internet, I would like you to tell me what you are thinking as you complete each task. Do you have any questions at this time? [Start microphone; Start video]. Present browsers and tasks. You are hungry and interested in finding a local Pizza Restaurant in your area. Use [insert category browser] to find a list of restaurants and choose a listing close to your home. Your best friend is in town and staying at a local hotel located at [address]. You cannot remember the name of the hotel but know it is in the Waltham, Massachusetts area. Use [insert category browser] to find a list of hotels in the area. Explore [insert category browser] and find something interesting to do this weekend.